Tom Thornhill’s law, energy and consulting practice is an outgrowth of the litigation, oil and gas, real estate and related developer practice of Thornhill Law Firm, A PLC. The Consulting includes consulting for oil and gas exploration, refinery and land development projects. With law and petroleum engineering education and the experience of Mr. Thornhill, our consulting practice in the energy industry and associated businesses and related capital and finance transactions and business combinations allows Thornhill companies to offer a depth and breadth that few other firms can match. Thornhill Consulting, LLC works with Thornhill Law Firm, A PLC to monitor trends and current developments to be different from other firms. Thornhill Energy and Development Consulting, LLC is also involved in port development. Tom Thornhill was retained as General Counsel for the Louisiana International Gulf Transfer Terminal (LIGTT) project. In that role, Thornhill Law Firm negotiated with the State of Louisiana all rights in and to the LIGTT design, development, construction and operation for 50 years. The lease and sublease, development agreement and all Acts of the Louisiana Legislature, signed by the Governor of Louisiana are on the web site at www.ligttmidstreamholdings.com. Since August, 2014, when all the rights and interests of the development were officially transferred to LIGTT Development Partners, LLC and its wholly owned subsidiary, LIGTT Midstream Holdings, LLC, Mr. Thornhill’s company, Energy Development Services, Inc. (EDSI) has invested significantly in the LIGTT project and EDSI continues to serve as a Manager of the LIGTT Development Project. Thornhill Energy, Inc. has begun the development with a national lab of the concepts for four other secure ports projects off-shore, in addition to consulting for the development of refinery and geothermal facilities. Thornhill has personally undertaken permitting and development with partners of a Utah refinery and is negotiating the purchase of another existing, small refinery. Thornhill Consulting, LLC has experience in all areas of the energy industry, including: drilling on-shore and off-shore oil and gas wells, development of liquefied natural gas plant projects, and development of ports projects, shipping, transportation, etc. Members of the team of professionals associated with Thornhill Consulting, LLC include mechanical and industrial engineers with master’s degrees and extensive experience in project development and refining. In addition, the business side of the practice includes significant business association structuring, private and public project financing for the projects. Mr. Thornhill’s petroleum engineering education and experience have been used to participate in offshore oil and gas wells, as well as in his law practice, and in service to the State of Louisiana. Mr. Thornhill’s service includes his being elected to serve as a member of the Louisiana House of Representatives, as a member of Appropriations, Joint Budget, Insurance and Retirement committees from 1996-2000. 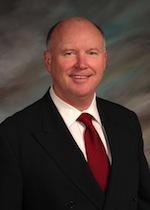 In addition, Mr. Thornhill has extensive litigation experience, having been admitted to the bar of the United States Supreme Court, every state and federal court in Louisiana and Texas, and is admitted pro hac vice in various Mississippi, Texas, New Jersey, Minnesota, and California state and federal courts. Mr. Thornhill remains active in professional associations, including having served as President of the Louisiana Association of Justice, on committees of the Louisiana State Bar Association and active membership in the Federal and American Bar Associations. Mr. Thornhill is a regular lecturer on changes in the law, procedure and professional topics. Thornhill Law Firm has also been named as one of the top 100 Lawyers in Louisiana from 2011 - 2014 and named Top Lawyer in Louisiana for its commitment to ethical standards and professional excellence. In addition, Mr. Thornhill was appointed by the United States District Court for the Eastern District of Louisiana to serve as a member of the trial team that prepared for three years (4/2010-2/2013) and then tried for three months in 2013, the liability phase of the BP Multi-District Litigation from the Deepwater Horizon rig blow out of the Macondo well and as appointed lead counsel in other major class actions.